The 3D printing company convinced the highly qualified prize jury - 3YOURMIND will develop the world’s leading platform for 3D printing. The Berlin-based 3YOURMIND GmbH was awarded the 2016 German Innovation Prize. The company competed in the Start-ups category against a large number of competitors. The German Innovation Prize for the categories of large-scale enterprises and medium-sized businesses were awarded to Schaeffler Technologies and Invenio. The German Innovation Prize is an initiative from Accenture, EnBW, Evonik and the Economic Week under the umbrella of the Federal Ministry for Economics and Energy. The prize recognizes outstanding innovation in german businesses in the categories of large enterprises, middle-sized companies and Start-ups. The competition jury consisted of Miriam Meckel (Economic Week), Frank Riemensperger (Accenture), Klaus Engel (Evonik) and Frank Mastiaux (EnBW) who awarded the prize this past Friday in Munich in front of 350 representatives from business, research, politics and society. Further information and photographs of the awarding of the prize are available at http://www.der-deutsche-innovationspreis.de. 3YOURMIND develops intelligent 3D printing solutions for industries in the 3D printing market. 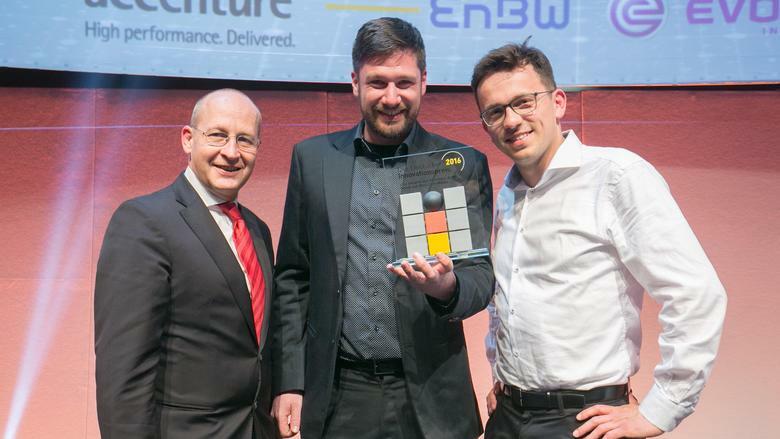 The company was founded in 2013 by Stephan Kühr, Aleksander Ciszek and Tobias Wunner and is one of the “100 best german innovations for a digital world” (Won in 2015 at the competition “Germany – The land of ideas). 3YOURMIND has developed a software that automatically analyzes and optimizes 3D data for printing with a single click. That saves significant time and money. Additionally, the company offers a unique price comparison tool while searching for 3D printing service providers. The customers and partners of 3YOURMIND include DAX-30 companies as well as the leading worldwide developers of 3D printers and CAD software programs.